Incorporated in 1976, Curling Québec represents 66 curling clubs and about 10,000 members everywhere in Québec, and more than 77,000 occasional players. Aside from managing, developing and promoting curling throughout the province of Quebec, Curling Québec’s mission is to offer amateur curlers ans aspiring curlers, the opportunity to curl recreationally or competitively within a structured organization which is supported by many different services. We want all of our members to see the value of their affiliation to Curling Quebec. We will listen to our members in order to develop programs and services which will respond to their needs. We are committed to ensure that all of our members’ curling experiences are as enjoyable and as positive as possible. In collaboration with our members, we are committed to ensuring the vitality of our clubs, rebuilding the volunteer pool, and increasing and retaining memberships. We are committed to continue to support elite curlers in order to help them reach their potential and well represent the province of Quebec at national championships. Curling Quebec is a non-for-profit provincial association consisting of regional associations and curling clubs who, based on their staff and volunteer structure, contribute towards the development of the sport within the province. Curling Quebec is recognized by the Quebec Government, the World Curling Federation (WCF) and Curling Canada (CC), as the organisation mandated to represent the interest of the sport of curling in Quebec. Active throughout all regions, Curling Quebec is represented by all age categories. Concerned with the development of the sport on both a recreational and competitive level, Curling Quebec offers programs spanning across the 4 levels associated with sport development, notably the Initiation, Recreation, Competition and Excellence phases. We believe that all of our clubs and individual members should have access to all of our programs and services. We are committed to work in collaboration with everyone who believes that by combining our resources we will achieve our common goals. We believe that all of our members have the right to be treated fairly and equally. We promise to always react in a respectful and ethical way. We will honour all of our commitments. We promise to always aim as high as possible and to provide lots of support for our elite athletes in achieving our common goals of success. All of our decisions and actions will be taken with integrity and professionalism. Regroup regional associations into recognized corporations that manage the sport of curling within the province of Quebec. Promote and develop curling as both a recreational and competitive sport. Promote and develop relationships with associations and organisations who wish to develop the sport within their respective spheres of activity. Promote and defend the interests of members while providing them with various programs and services. Develop, organize and hold provincial playoffs with the goal of determining which teams will be crowned provincial champions. Maintain affiliation with Curling Canada and continue to develop business relations with various public bodies. Under the responsibility of the board of directors, which will be mandated to draft the final report, the disciplinary committee for resolving conflicts must be considered as a forum of last resort. Curling Québec strongly encourages anyone considering this solution to first try to resolve any conflictual or problematic situation in a civil way. Curling is a sport with a long tradition in several European countries as well as in the United States and Canada, and especially in Quebec. Quebec is the cradle of curling in America. The oldest sports club in the Americas (in any sport) is a curling club: the Montreal Curling Club (1807). 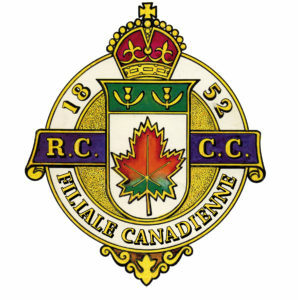 The initial meeting of the Canadian Branch of the Royal Caledonian Curling Club in Scotland was held in Montreal on March 27, 1852.